After many years in the Real Estate industry, listing and selling dozens of properties, I decided the Sellers need to have a special area dedicated to assisting them with ideas and additional guidance through the Selling process. Selling your home is a major decision and requires planning, preparation and an experienced and credentialed REALTOR®. The Seller Representative Specialist Designation (SRS) is the premier professional credential for real estate professionals representing sellers in housing transactions. A SRS understands your perspectives and is qualified and committed to helping you achieve a successful transaction. For a collection of useful home seller resources, click Here for additional guidance and answers to some of your questions. These are great Houselogic tips and articles, covering many subjects from updating your bathroom to staging your home! For great Seller Resources pdf's, please click Here. 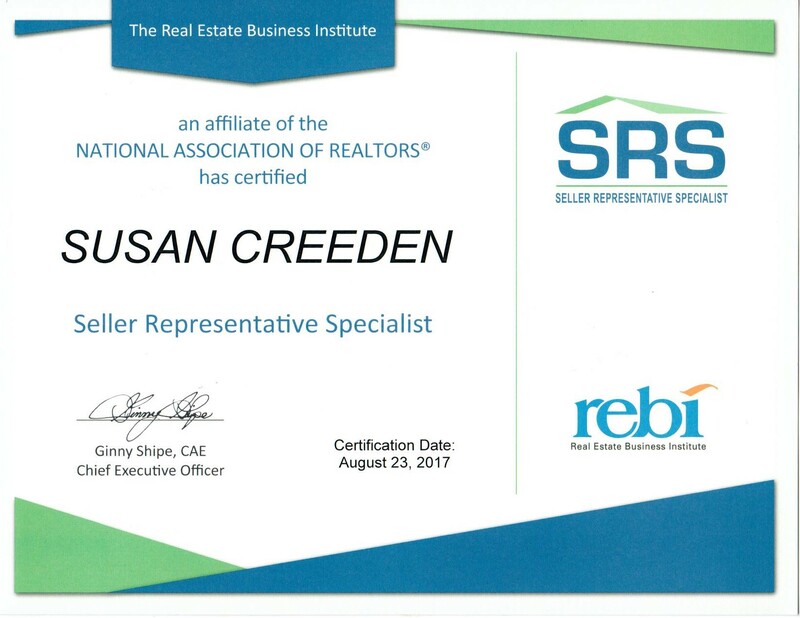 Please make sure you list your property with a REALTOR® who has earned the SRS Designation to ensure that your transaction is handled in a professional and ethical manner. All of my listings are advertised via a massive web portal, Listing Hub, maximizing exposure to home buyers in over 30 websites including Realtor.com. Both MLS services showcase my listings, FMLS and GAMLS. Branded virtual tour YouTube’s, with the property address are just the beginning! Professional photography is standard, however some properties may need 3d virtual immersion tours and drone footage, which can easily can be included. Please feel free to look throughout my website to view About Me, my listing and sales history and so much more!